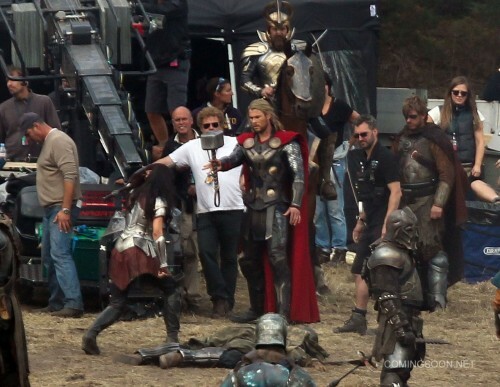 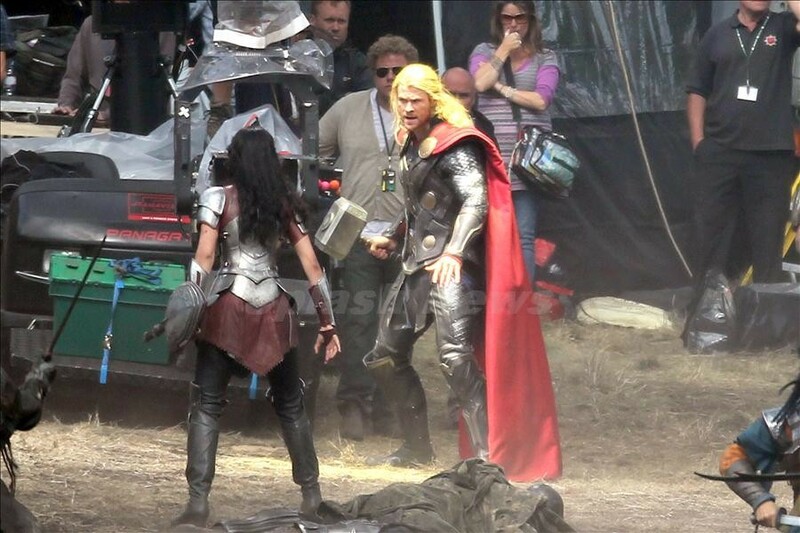 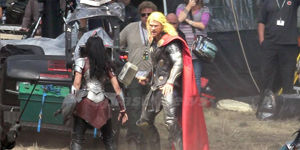 Set photos from the England set of Thor: The Dark World have emerged online–via Comic Book Movie and Just Jared–and if the photos are any indication of how the tempo and feel of the actual film will be, we are in for an epic sequel from the God of Thunder. 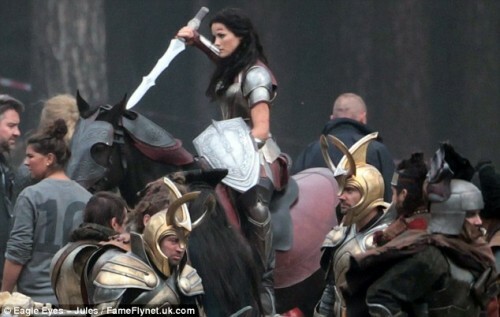 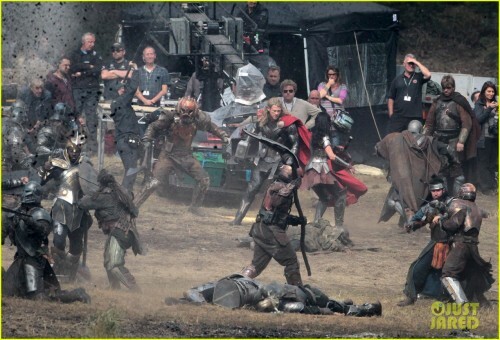 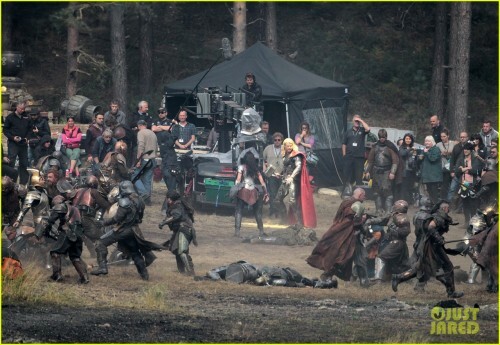 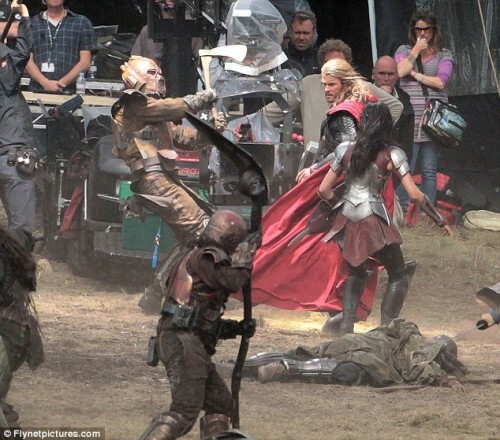 Check out the photos below, which also feature Jaimie Alexander returning as Sif, and the official plot description for the film. 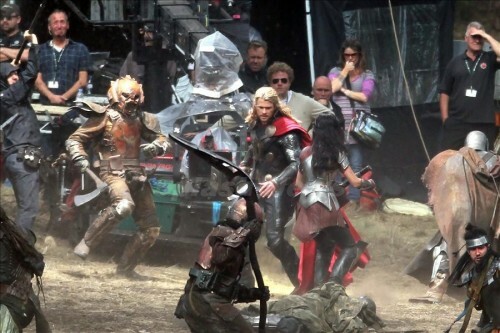 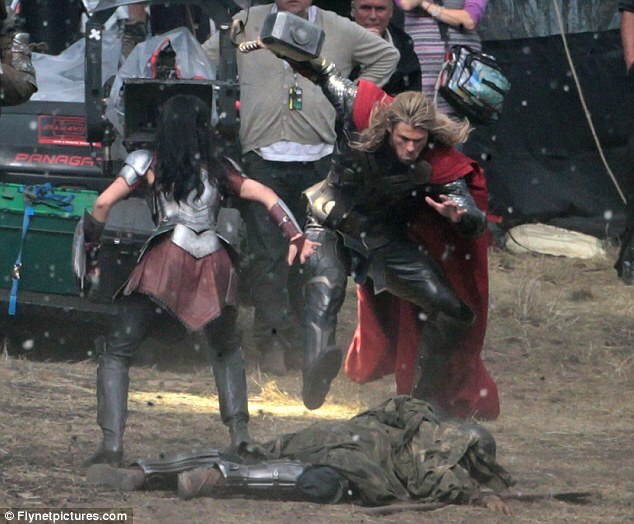 Thor: The Dark World hits theaters November 8th, 2013.